Penal Reform International is launching a competition for the best journalism investigating the death penalty and life (or long-term) imprisonment. The death penalty remains in many parts of the globe, while around the world people are imprisoned for decades at a time. 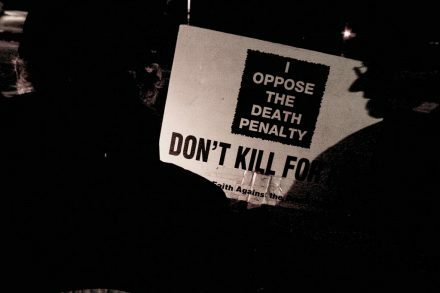 While trials, sentences and executions often make the headlines, other features of the death penalty and life imprisonment are largely unknown. The focus could be on such subjects as individual stories, investigations into prison conditions or wider considerations about the laws and regulations about the death penalty. We are looking for entries published anywhere in the world between 1 April 2013 and 31 May 2014, in any media format, in Arabic, English or Russian. Winners will receive an expenses-paid two-day trip to London in October 2014, including a one-day visit to the offices of The Guardian newspaper. There they will be able to see the paper being put together, meet journalists working on relevant issues and receive advice and feedback on their articles. Winning articles will also be published by PRI on its website. This competition is taking place as part of PRI’s multi-regional project ‘Progressive abolition of the death penalty and the implementation of humane alternative sanctions after a moratorium or abolition‘, funded by the European Union (EU) through the European Instrument for Democracy and Human Rights (EIDHR) and in partnership with the Foundation for Human Rights Initiative (FHRI). Entries can be submitted to info@penalreform.org. This is a resource for trainers to train journalists on how to report on the death penalty and alternative sanctions.